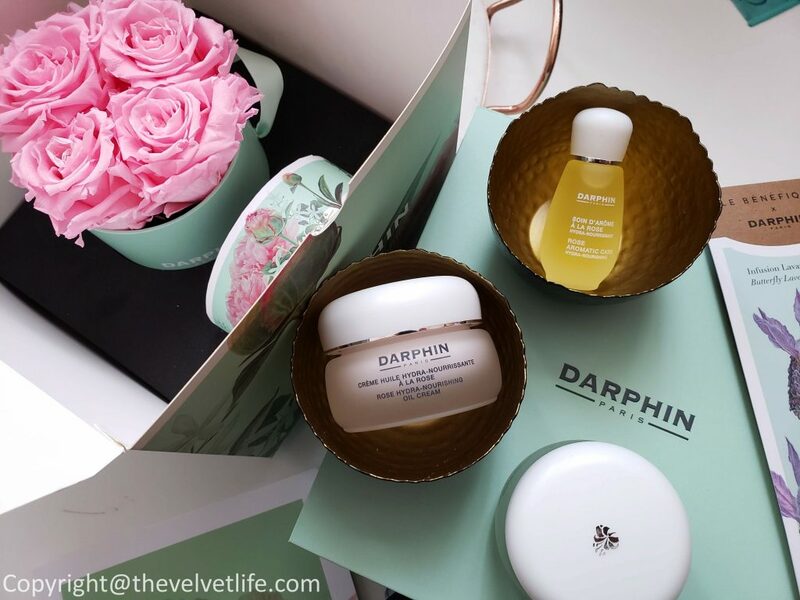 Darphin Paris has decades of expertise of capturing the pure plant essences into complex formulations making the active ingredients paired with a carrier to ensure the activity is preserved until the moment of contact. The results are amazing products with rare botanicals and essential oils which are pure and effective. 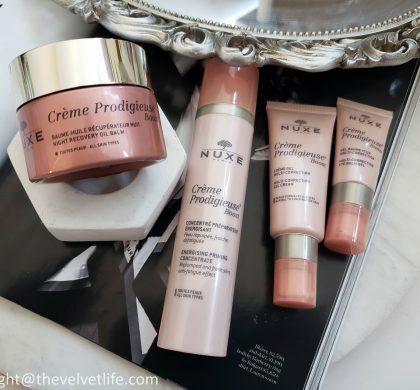 To use and benefit the most from the products and formulations, there are specific techniques and steps of applying and massaging them on the skin. ‘Darphin’s profound understanding of muscular skeletal structures and their relationship to circulation created facial massage techniques that rejuvenate muscles and deepen the benefits the skin. Darphin remains the source for advanced Kinesio massage treatments and pure plant essence formulations to unleash a force for beauty.’ The new launches from Darphin – Rose Hydra-Nourishing Collection including Rose Hydra-Nourishing Essential Oil Elixir and Rose Hydra-Nourishing Oil Cream. The new launches – Rose Hydra-Nourishing Essential Oil Elixir and Rose Hydra-Nourishing Oil Cream are formulated to be hydrating and nourishing with an aroma that smells like a beautiful bouquet of roses. 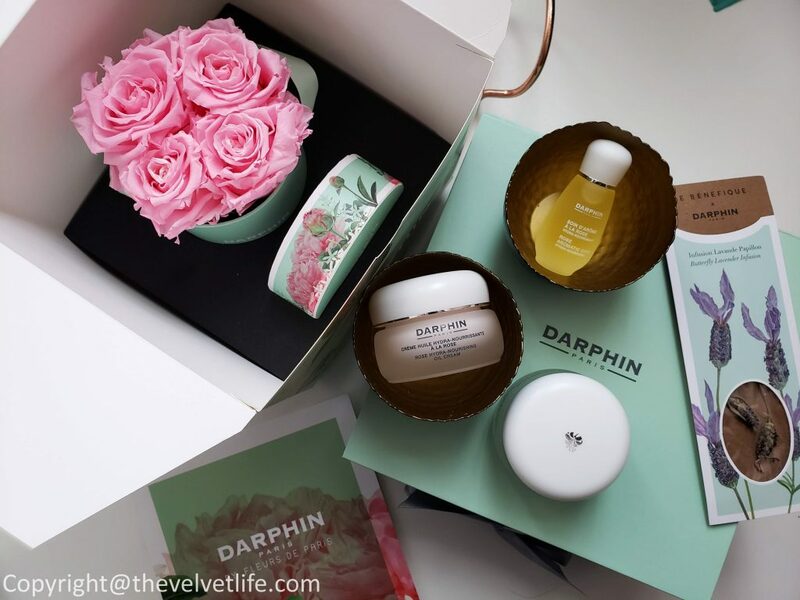 Darphin uses the most precious and potent extracts from Rose to create a unique Triple Rose Concentrate with Rose Wax (moisturizing), Rose Absolute (moisturizing and retaining the moisture), and Rose Essential Oil (refreshing and hydrating properties with fresh, strong rose scent). Darphin Rose Hydra-Nourishing Essential Oil Elixir is a nourishing triple rose blend of rose wax, rose absolute and rose essential oil as explained above. 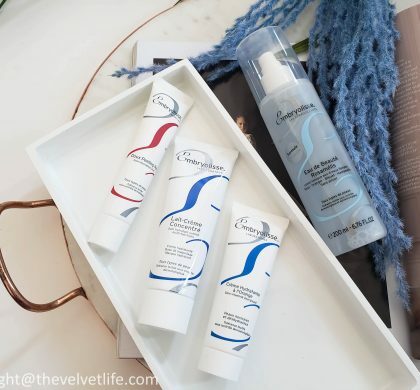 It helps protect the skin from the drying effect of extremely cold temperatures and nourishing Omegas 3 and 6. This hydrating oil elixir is perfect to use overnight for a soft, glowing, and supple healthy-looking skin. It absorbs easily into the skin without being greasy. Darphin Rose Hydra-Nourishing Oil Cream aims to cover the ‘first-concerns; needs of hydration and nutrition, before age prevention or anti-aging concerns. This cream helps protect from the drying effects of the cold temperatures. This cream works nicely over the Rose Hydra-Nourishing Essential Oil Elixir or just on its own. It is a hydra-nourishing formula resulting in soft, healthy-looking, and supple skin. It is great for anyone feeling dryness and tightness in their skin due to the weather. Not just the external factors, it is a nice overall product which helps with hydration, anti-aging, and healthy skin benefits. There are specific Detoxifying Kinesio Massage and Muscle Relaxing Kinesio Massage steps specifically for the benefits and end result they provide, which you can refer here. Using these products can be a nice relaxing ritual every night which you can look forward to after a busy day. 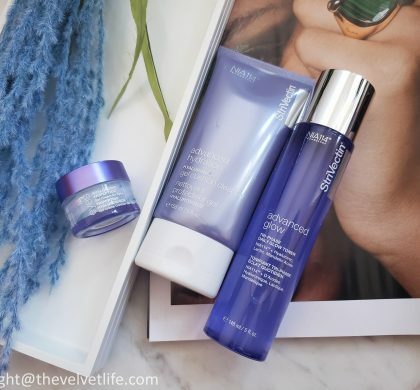 There is one more product which I have been using and loving since the winter started. I have shared it a few times on my Instagram stories and got so much interest from you guys. 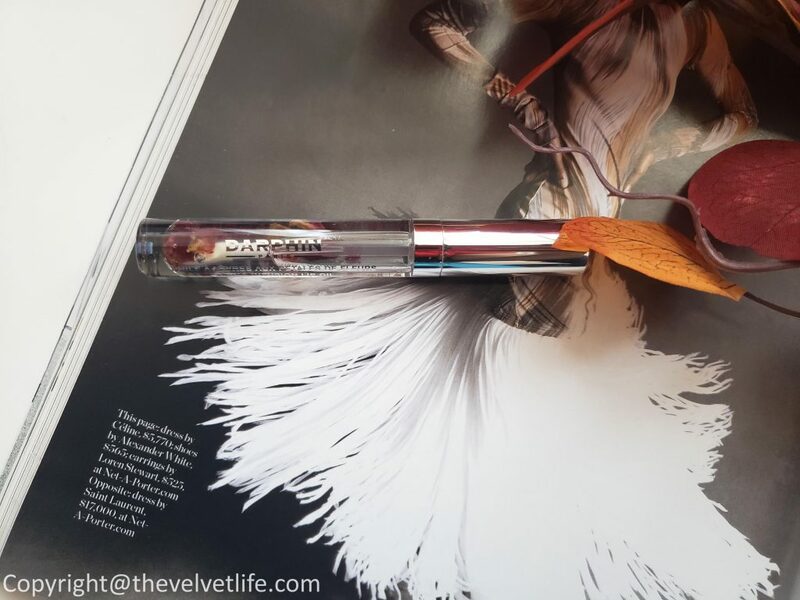 It is the Darphin Petal Infusion Lip Oil. 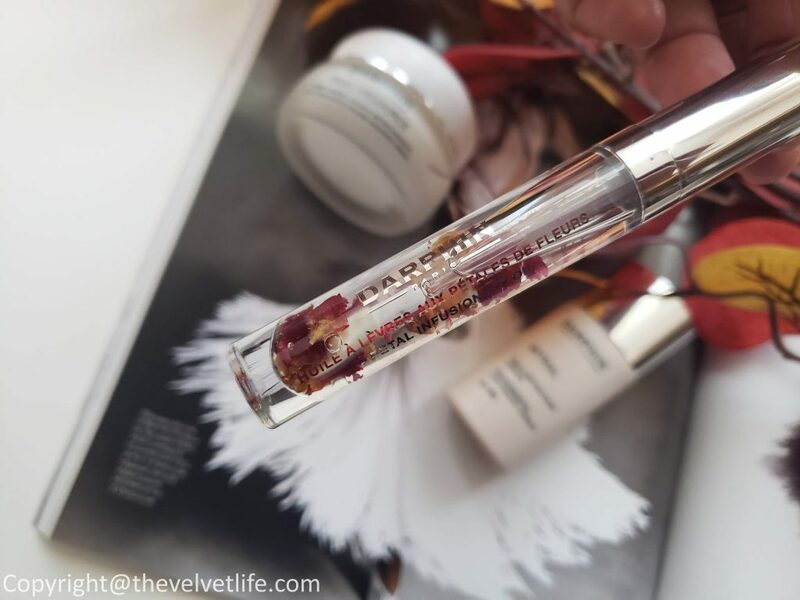 It is a real Rose petal infused in an opulent oil for nourished, soft, and glossy lips. The nutrient-rich Apricot and Grapeseed oils create a high-shine gloss and define the look of lips, a barrier protecting Vitamin E comforts and prevents dryness, and the conditioning Omega 6 and 9 plump lips. The most immediate benefit I see is comfortable lips and prevent dryness. I usually apply this before bed and works great to keep my lips comfortable, soft, and hydrated. Darphin products are available at Sephora Canada, Beautyboutique by ShoppersDrugMart, Holt Renfrew, Nordstrom, Darphin.com, Neiman Marcus.